I've got to admit, this ride hasn't looked better for a long time. The new re-theme of 'Flight Deck' into the classic attraction 'The Bat' at Kings Island is making some amazing progress. No longer will it blend in with the back of the park and go unnoticed by many. 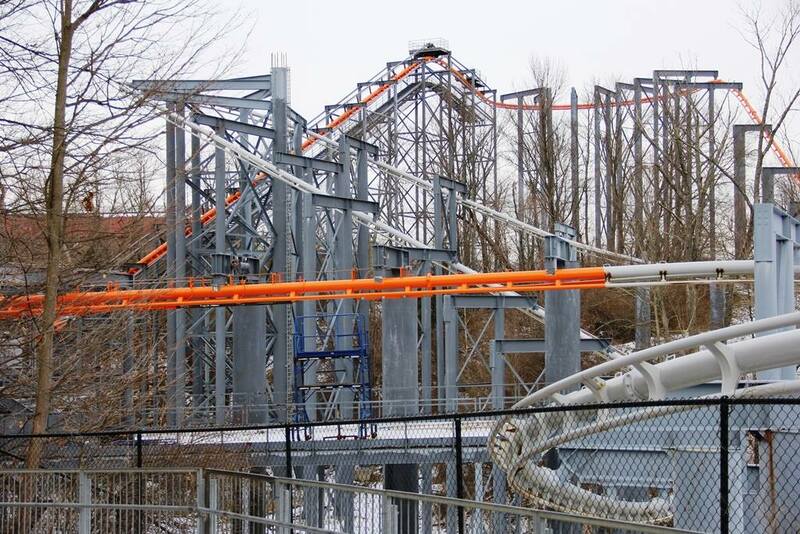 The new Orange and Charcoal paint job is going to make this ride stand out once again. I also have to admit, I really hope the coaster cars will get a nice new update with some new fiberglass work also. Plus some nice new queue line goodies, really drive this thing home completely! I'm really beginning to wonder if Kings Island is planning to fully re-theme this area of their amusement park into a full 'land' type of area. With great themes like 'The Bat' and 'Banshee' happening, I hope it goes beyond the rides and extends to the park. It'd be nice to see something with a slightly darker theme lurking around!